Bookworms rejoice! The first snowflakes of the year fell on Montreal only a few days ago, a sure sign of one thing—it’s officially cold enough for staying in and reading a good book. Just in time to fill those lonely nights with warming words, Expozine, Montreal’s small press, comic and zine fair returns this weekend to fill up your reading list with indie delights, each one as unique as the tiny, tumbling snowflakes which have banished us all indoors. For the uninitiated, a ‘zine’ is small, non-commercial, self-published work, as simple as a booklet photocopied and stapled together, or as glossy as a fine printed, published product. Artists who put up the cash to compile their own zines don’t have to answer to the restrictions of a publisher’s demands, meaning that what’s for sale is a pure product of the mind that it came from. 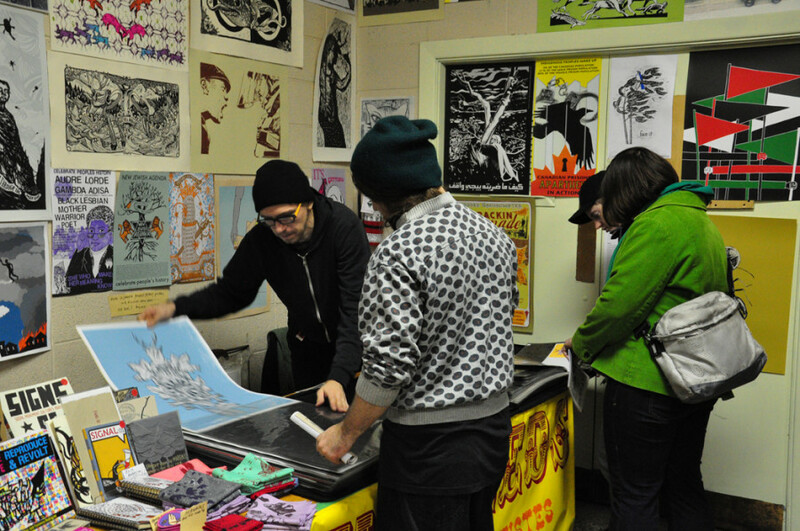 Many consider zines to be the ideal of publishing freedom, and it’s this attraction to the uncut, untamed work that draws patrons from all over Quebec and Ontario, even sometimes as far as Europe. “With 15,000 people that pass through, it’s pretty wide ranging,” said Louis Rastelli, a writer and one of the fair’s key organizers. Rastelli also co-founded Archive Montreal, which now organizes the festival, and is in part responsible for the infamous Distroboto machines, a series of former cigarette vending machines, converted to sell zines and art. One such machine will be making an appearance at Expozine this year, to the delight of artists and fans both. The fair has been running for 12 years now, and is only gaining momentum with every growing year. The festival stands tall as a tribute to the fact that print is not dead, at least not outside of the mainstream. Featuring over 270 independent artists selling both English and French language wares, there’s something to be found for everyone, though Rastelli admits they tend to draw a crowd that leans on the artistic side. Publications at the fair are varied in terms of content, ranging from literature and poetry, to comics and visual artwork. “In the past years we’ve had a lot more visual art related zines, [because] a lot more visual artists are making zines as artistic practice,” said Rastelli. He also mentioned that Concordia has fingerprints all over this self-published party—the Concordia Community Co-Op Bookstore is taking part, along with current Concordia students and alumni. This year will also feature two round table discussions, “No Fear of Zine Failure: Perspectives on Self-Publishing and Zine Culture,” featuring long time zine vet Aaron Cometbus, who has been in the business for 20 years. The second Saturday panel will focus on Queer zines, which have become such a staple in the community that they have launched their own fair, known as Queer Between the Covers, on a yearly basis. Overall, it’s all about keeping the spirit of independence alive, for the love of art, publishing and words. So if you’ve got a taste for the unusual and are interested in supporting local art, this event is just for you—you might just see some things you’ve never zine before.